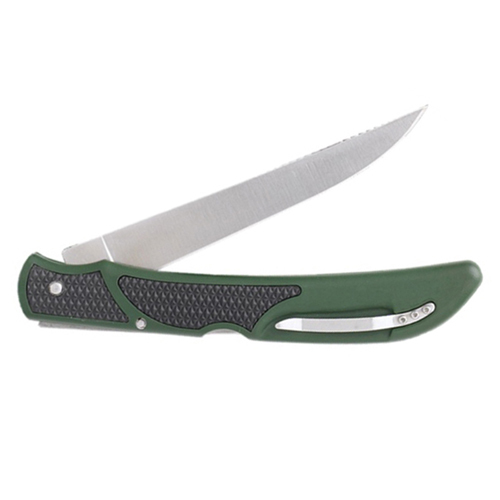 Debone your fish and game with the Outdoor Edge Fish & Bone Folding Knife. The 440A stainless steel blade is razor sharp and has great flexibility to work through bone. 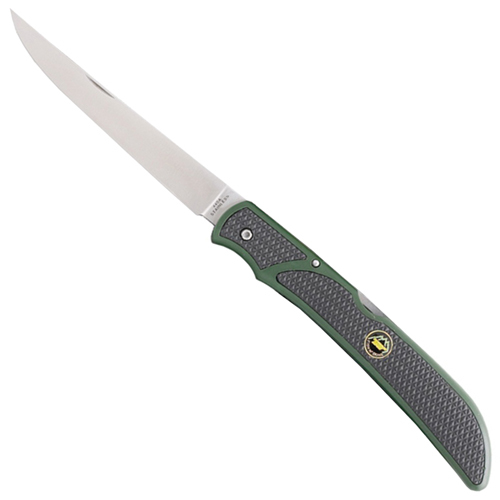 Its ergonomic handle is made from green and black G10 with a textured finish so it won’t slide out of your hands during strenuous work.